This fall students across Tennessee will be able to do something most kids can't: vote for president of the United States. 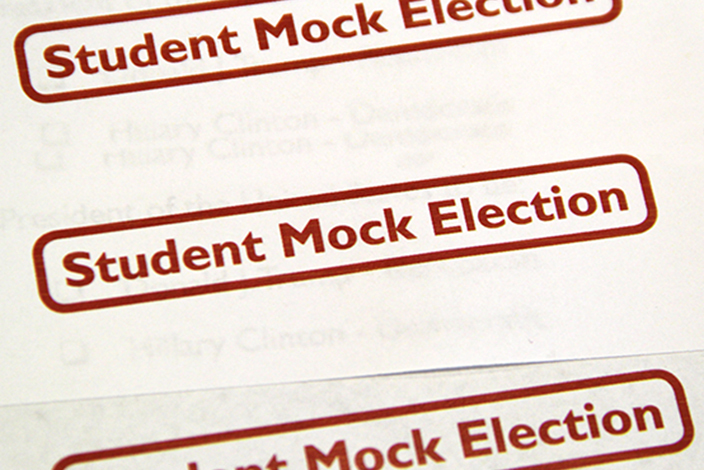 The Secretary of State's office is pleased to announce Tennessee's first ever statewide Student Mock Election. Students in preschool through high school from all public and private schools as well as home school associations in Tennessee can participate. Paper ballots letting students choose between Democratic presidential nominee Hillary Clinton, Republican presidential nominee Donald Trump and all qualified independent presidential candidates will be provided, but schools may elect to conduct elections locally in different ways. Early voting for the mock election opens October 17 and results must be submitted by Mock Election Day, November 1. Mock presidential election results will be revealed on November 2, less than a week before the real general election. "Hopefully participating in a mock election now will encourage students across this great state to continue to exercise their right to vote as adults," Secretary of State Tre Hargett said. The program also offers lesson plans created by Tennessee teachers. The goal is offer an easy way for teachers to incorporate civic engagement and citizenship into their curriculum leading up to the Student Mock Election.